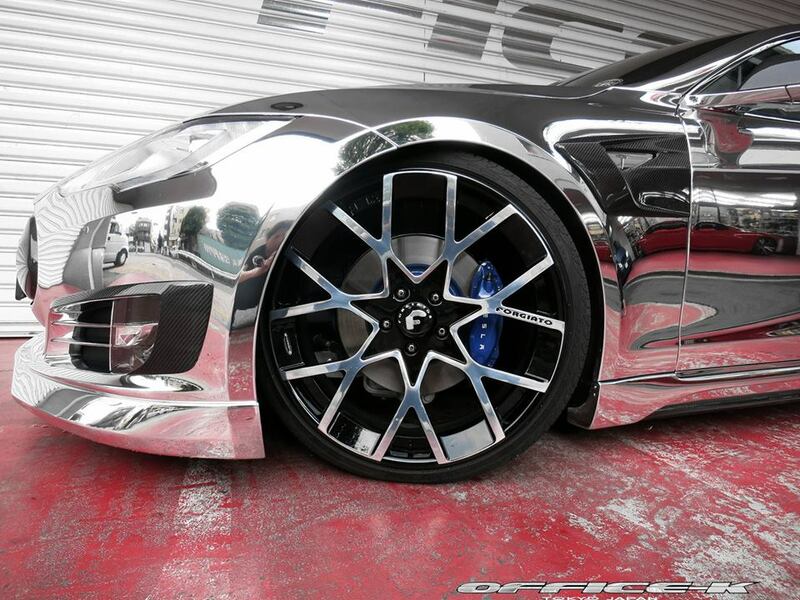 It has 22-inch Forgiato wheels and lowered suspension, Artisan Spirit body kit, and of course the chrome vinyl wrap. Pretty shiny that's for sure. It would make it stand out! 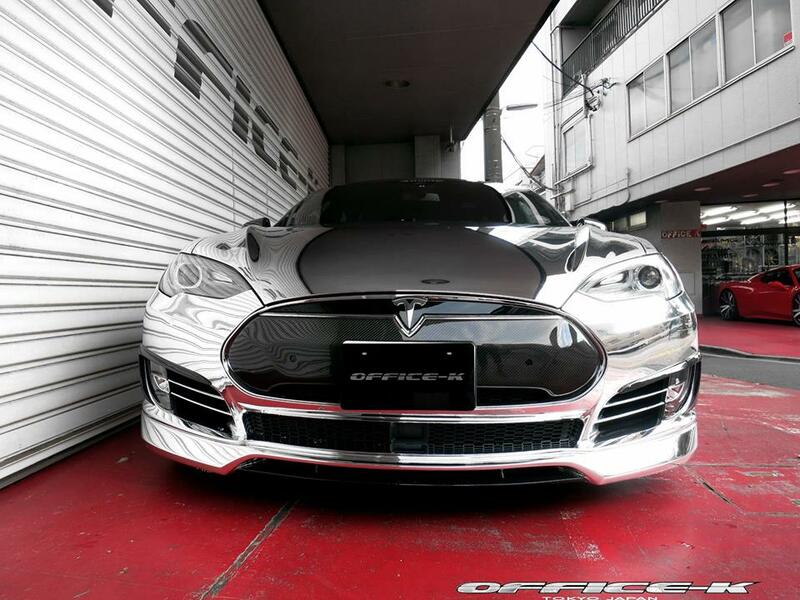 Reminds me of Justin Bieber's Fisker Karma! 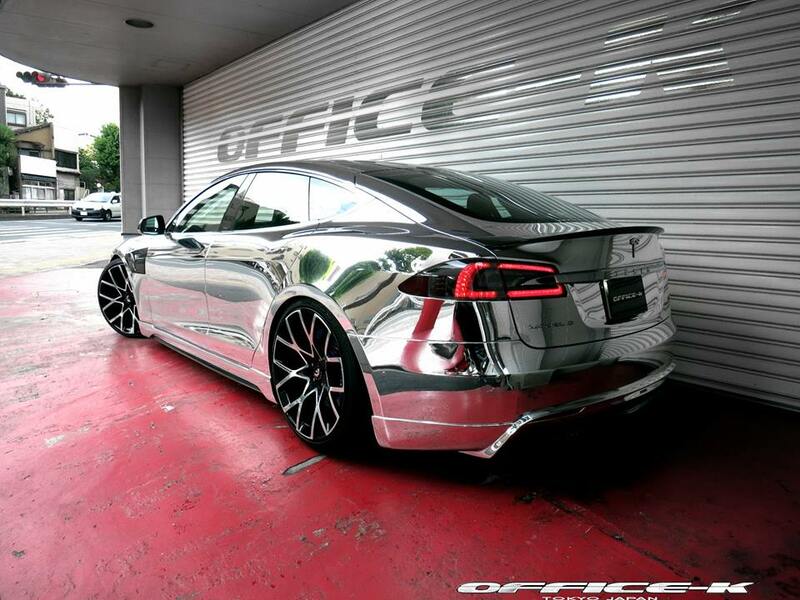 Tesla model S is definitely a cool looking car but the wait for it is way too long.